It’s a question shared by countless people across the globe. “What will happen to me when I die?” Tragically, for 2,500 unreached people groups around the world, the answer is still out of reach. and hundreds of partner churches, missionaries and supporting friends like you, this is a formidable challenge. 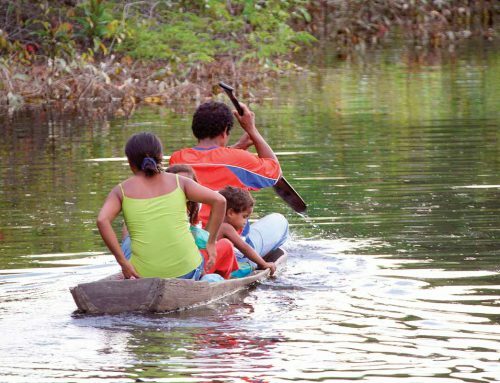 NTM’s 70-year legacy of reaching the most remote, unreached populations has made significant progress, but in Larry Brown’s view there is still much to trust God for. Relying on God’s promises and sufficiency, we must accelerate our efforts to recruit, train and send teams to people groups where there is no Gospel witness. While communications and Internet technologies have made the world seem like a smaller place, the vast majority of these groups have been untouched by these changes — and remain outside the reach of the Gospel. Right now, NTM has more than 280 church planting groups engaged at this level. 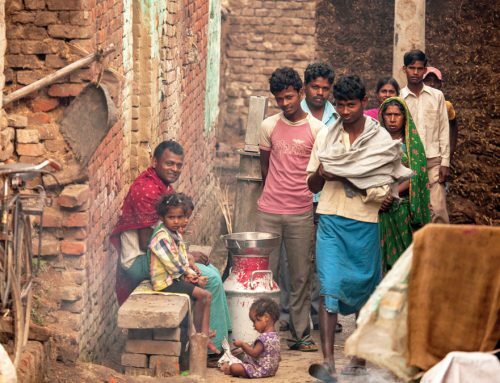 Our work to build disciples is having a tremendous impact as local churches are being established — and then multiplying within neighbouring villages and even neighbouring people groups. and hard work — as well as strategic partnerships. As NTM serves with the body of Christ in obedience to Christ’s mandate, this vision will require the joint efforts of local churches and individual believers. Assessing what God is doing around the world through His church, Larry is convinced that He is accelerating the reach of the Gospel. And Brown believes strongly that seeing the world reached in this generation is attainable. Every tribe can be reached. NTM’s vision is to do everything possible to accelerate the reach of the Gospel. The key to it all is acceleration, says Brown. Together, let’s trust God to finish reaching EVERY people group in this generation! “Grandpa” and Other Patpatar Elders Rejoice in the Lord: Changed lives are the reason missionaries stay the course. 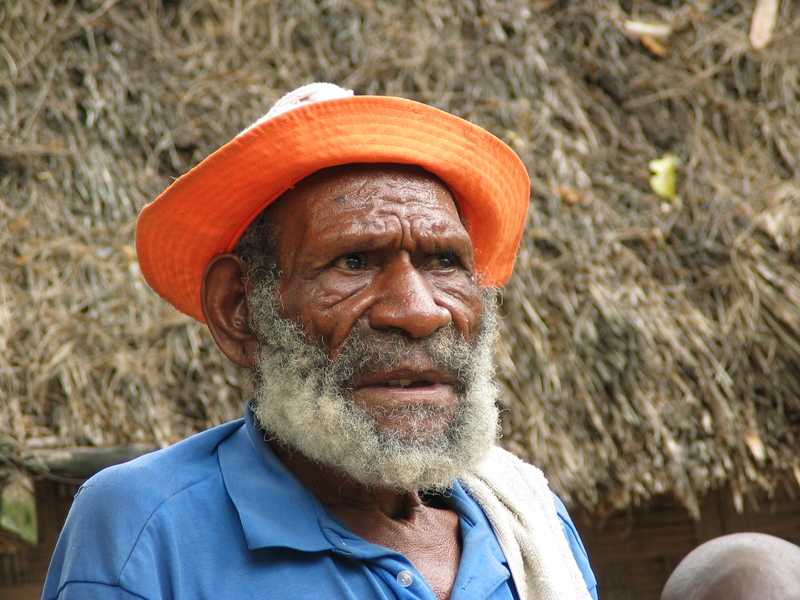 Do elderly believers in tribal areas influence others for Christ? 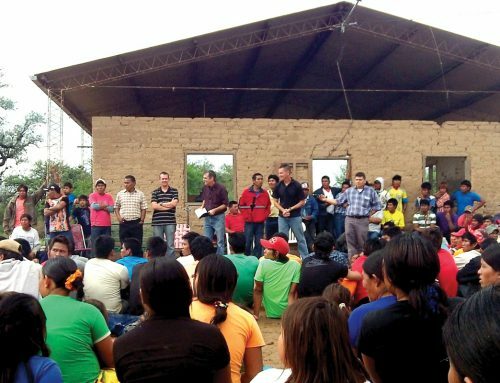 In a recent conversation, NTM missionary Aaron Luse shared three brief stories that demonstrated the power of the Gospel to change lives, even the lives of people who spent many decades struggling against spiritual darkness and tribal traditions. For months a man I call “Grandpa” sat quietly in the background during the Firm Foundations Bible teaching. He was obviously engaged… but he said nothing. At the end, after months of silence, he slowly stood and summarized all the lessons in less than a minute. These words were his first verbal expression of faith. You wouldn’t have known that day that he was a dying man with little energy. Blais couldn’t stand still as he lifted his hands and sang praises to God for what Jesus had done for him! Days after he gave this testimony, the growth on his neck began to grow rapidly, affecting his speech, his breathing and his ability to get around. Despite his pain and physical struggle, he made his way to the believers’ meeting. You wouldn’t have known that day that he was a dying man with little energy. Blais couldn’t stand still as he lifted his hands and sang praises to God for what Jesus had done for him! Just three weeks later, Blais passed away. Lori and I continue to work among his people, encouraged by his desire to see his entire family — and all his people — join God’s family. After 45 years, the campus needs a new multi-purpose building to better serve the needs of our recruiting, equipping and sending. We are converting an old classroom building to meet this need. Your gift will help complete this much needed building. First Kodiak Plane Enters Service in Asia-Pacific! It took five days, but NTM’s first Kodiak aircraft successfully completed its trans-oceanic flight and arrived safely at its destination in the Asia-Pacific region in July. After passing customs and registration requirements the long-awaited plane was placed into service at an airfield used by NTM missionaries to reach remote locations in this region. Daren Spence, an NTM missionary in the region, described the excitement that the Kodiak generated when it touched down. “The landing of NTM’s first Kodiak aircraft brought with it an overwhelming sense of thankfulness to the Lord. There is a tremendous need for an aircraft to serve needs in this region where the islands are mountainous and separated by vast stretches of ocean. Waves kick up for several months each year, isolating various islands by making travel by boat hazardous. “For those who choose to brave the high seas, travel to outlying islands can consume several days, and travelers often arrive exhausted and seasick. This has frustrated efforts to minister to people in these remote areas. 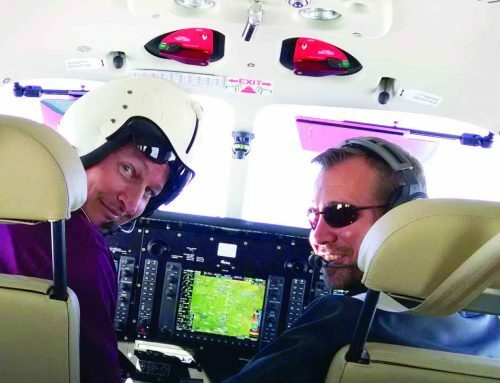 “You can see why our field members have been praying for the Lord to provide an aircraft to meet the need for safe, reliable, efficient air transportation in this region. And that’s why, as it landed here, there was great rejoicing for God’s provision of the Kodiak. NTM’s missionaries work in remote areas of the world, and often the only way to reach those areas effectively is with airplanes and helicopters. However, flight time is expensive, and missionaries pay for the costs of flights that serve them. In some cases, the expense is too much for missionary teams to bear. Sponsoring flight costs enables missionaries to use aircraft as they need them.